After the festivities and relaxation of the winter holidays had passed, we were looking for a little extra help to reach and measure daily fitness goals. The Huawei Band 2 Pro All-in-One Fitness Activity Tracker proved to be a simple, elegant solution, at a great entry-level price point. This comfortable, sleek wristband offers basic step tracking as well as options to gather data on outdoor running, outdoor cycle, swimming, and heartbeats per minute. Plus it has a “Breathe” mode to help wearers find a rhythm for meditative or relaxation breathing. The Band Pro 2 notices when the user has been stationary for an hour or so, it produces a gentle vibration, and displays an animation of a person stretching, which was a handy reminder to get up and move. Its Bluetooth capability allows it to pair with both Android and iOS - when the Health app is installed on your phone, you can set specific goals, and see progress per day or over a longer period of time. When using the "Run" function, there is an option to use GPS to track your location, distance, and time. And, it's waterproof so it can be used underwater in the pool, but will also survive an outdoor walk on a rainy day. 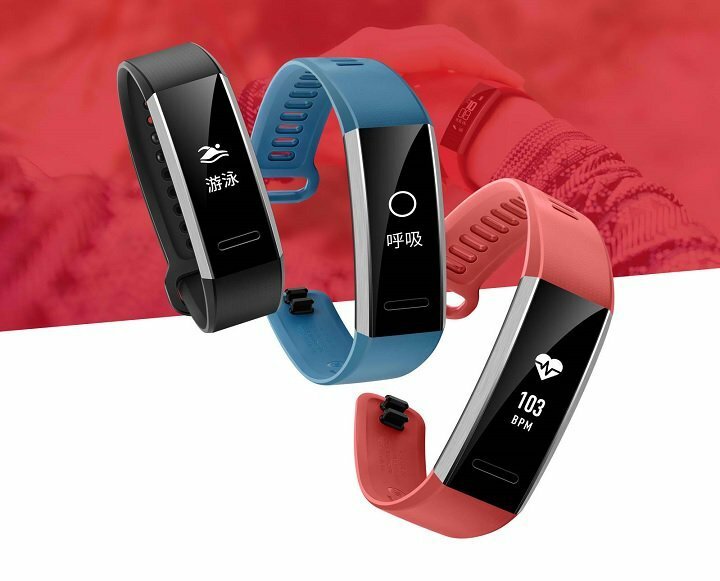 Not just a fitness buddy, the Huawei Band 2 Pro All-in-One Fitness Activity Tracker is very useful in professional situations, as it can be directed to vibrate when your phone has an incoming call as well as displaying the time with a shake of the wrist, or gentle tap on the screen's touch point. We appreciated the smart notification function when we've stepped away from the phone, or in business situations when the phone is silenced, or in a meeting when pulling out a phone wouldn't be appropriate. It can also provide scientific sleep tracking. The clean, sleek design is appropriate for corporate or casual settings, fits most wrist sizes, and not gender-specific. It's sleek and lightweight, so it doesn’t constantly remind a wearer of its presence! It's very comfortable, so it's not intrusive while being used in sleep tracking mode. The Band 2 Pro ships with a small cradle-style charger and an impressive battery life of about 21 days. This is a hardy, efficient wearable that is priced at less than $50 so it won't break your bank. The features, affordability, and style of this wristband tracker make the Huawei Band 2 Pro All-in-One Fitness Activity Tracker a highly recommended fitness accessory.